The fireworks were spectacular that Fourth of July 1898, but momentous and strange events were about to commence that would change Zebulon Montgomery's life. What event could so change this Yale student's life forever? The sight of a petite, strawberry-blond woman with a peach-colored parasol. Zebulon, upon receiving her address, begins writing letters to the mysterious beauty. A letter-based relationship blossoms, captivated by imagery and language transcending words. In the Victorian era bursting with change yet fighting the unfamiliar, their romance will be tested in every way, forced to fight preconceived notions of what is right and proper. And when a shocking truth about his new love comes to light, Zebulon must also confront his own prejudices and opinions. 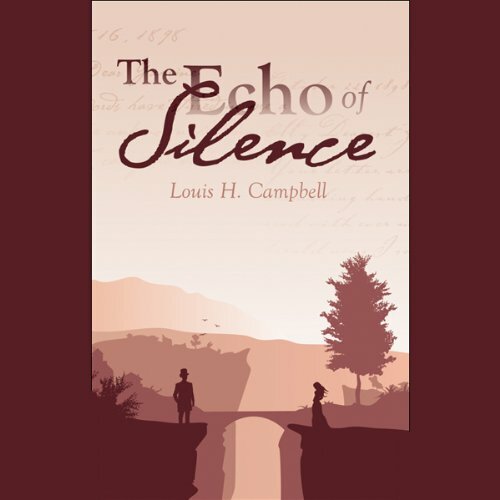 A compelling, lovely story of turn-of-the-century romance, The Echo of Silence begins a journey of love surpassing all odds.